Please browse the templates below (click to enlarge), and view our pricing and sizing info. 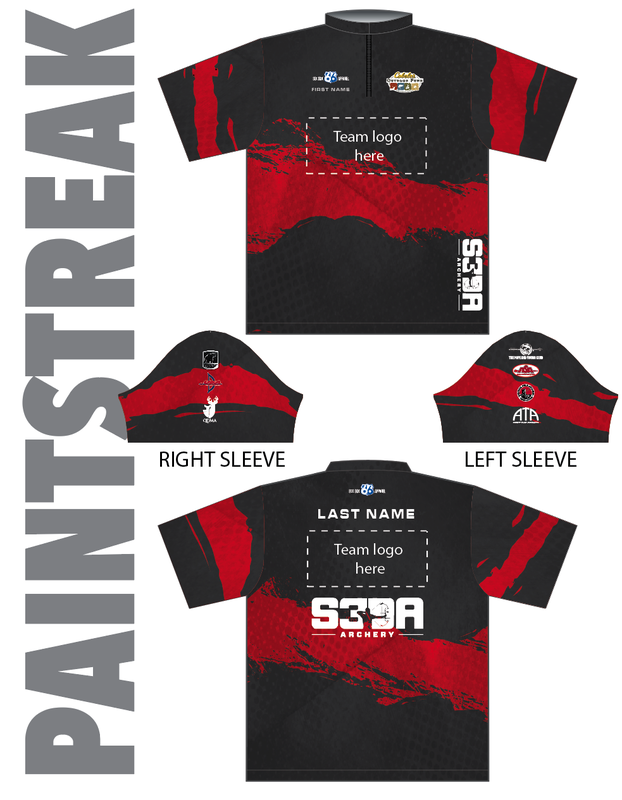 You can fill out the form at the bottom of this page to submit a request for jerseys. The above templates allow space for one (1) logo per team, and one (1) custom name per team member on front and back. The colors are also customizable for your team. 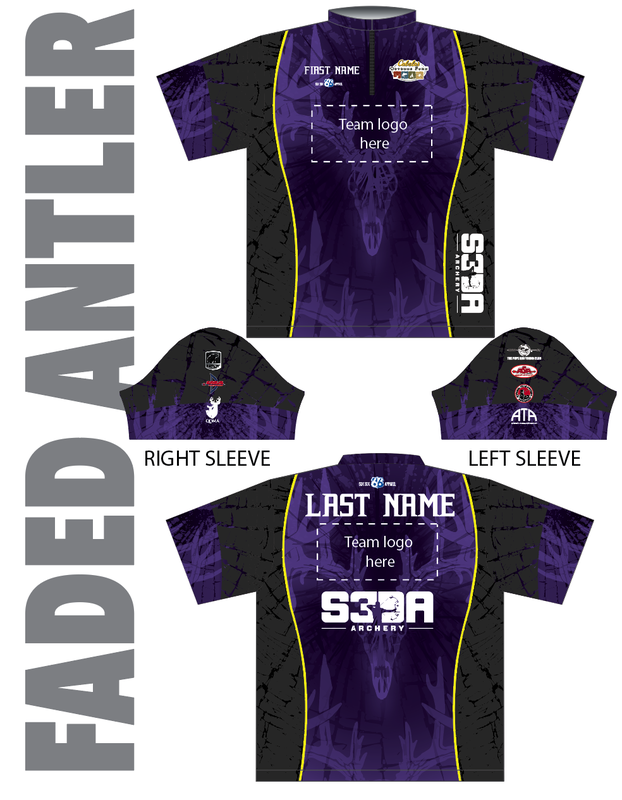 The following logos will also be included on the final product: S3DA, Cabela’s Outdoor Fund, Bear Archery, USA Archery, QDMA, The Pope & Young Club, ASA, NFAA, ATA, and Six Six Apparel. Setup Fee: $60 This covers art time, basic revisions and template setups. Setup is a a one-time fee. You will not be charged any setup fee for re-orders. Personalization: $5 per location. Custom name on back add $5 per shirt. Custom name on front and back add $10 per shirt. *Ladies Sizing not available in Long Sleeve. Adult and Youth only.